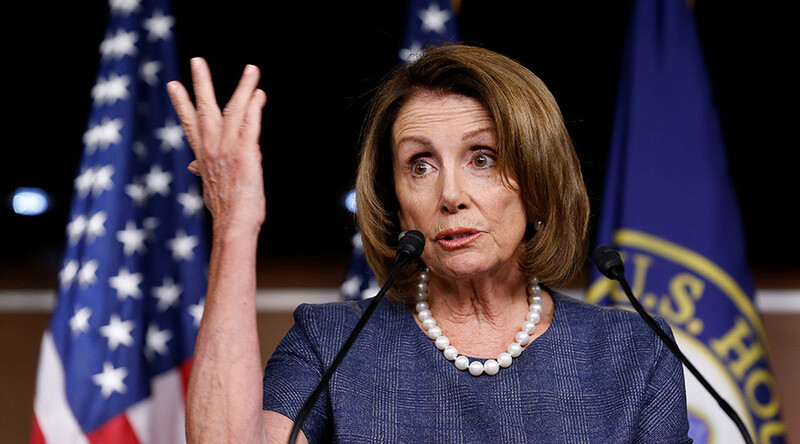 Despite facing direct challenges and calls to step down from her role as House minority leader, Pelosi (California) said, “I have to stay,” during an interview on ABC’s ‘The View’ on Friday. Pelosi had been describing meeting with President Donald Trump and members of his cabinet, alongside her Senate counterpart Minority Leader Chuck Schumer (New York). That bipartisan meeting last month ended up stirring feelings of betrayal among contingents from both parties, when Pelosi and Schumer announced a deal had been struck on immigration that excluded the president’s border wall. “Some of the cabinet members at the table, I was the only woman at the table, and that's why I have to stay there, to be one of the top women, top people, at the table,” she said to cheers from the TV studio audience. Pelosi revealed that she has considered relinquishing her post, when she was asked about some of her colleagues wanting her to step aside to make way for “new blood” to lead Democrats in the House. Pelosi overcame a challenge as minority leader when Congressman Tim Ryan of Ohio ran against her following the 2016 election. But the issue has not gone away, as just earlier this month, Congresswoman Linda Sanchez of California urged Pelosi and other longtime leaders to resign. 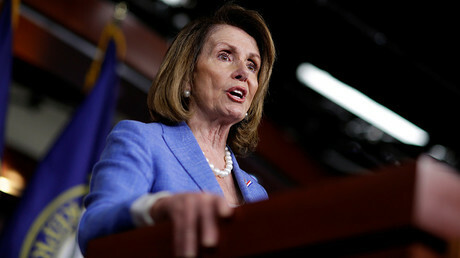 Pelosi has served as the leader of House Democrats since they broke the Republican majority in 2006, when she became the first female speaker of the House, a position formally third in line in the succession to the US presidency.